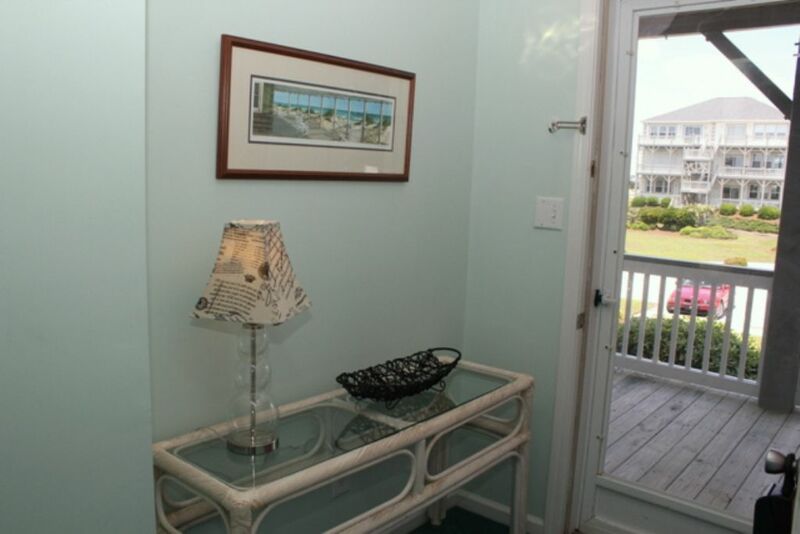 Oceanfront, 2 bedroom, 2 bath condo on the 1st floor. K*BDS. 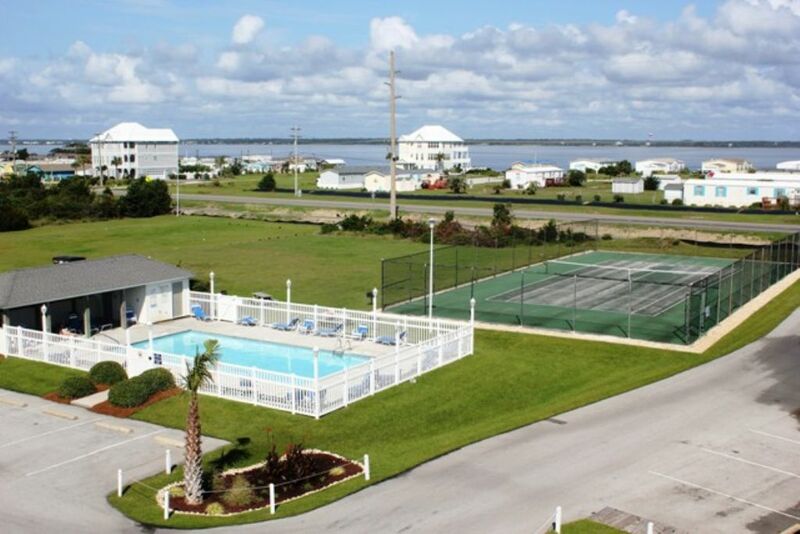 Full kitchen with breakfast bar, WIFI, Jacuzzi tub in master, 3 CCTV's, DVD, Washer/Dryer, direct beach access via boardwalk from living room. Covered porch with rockers. 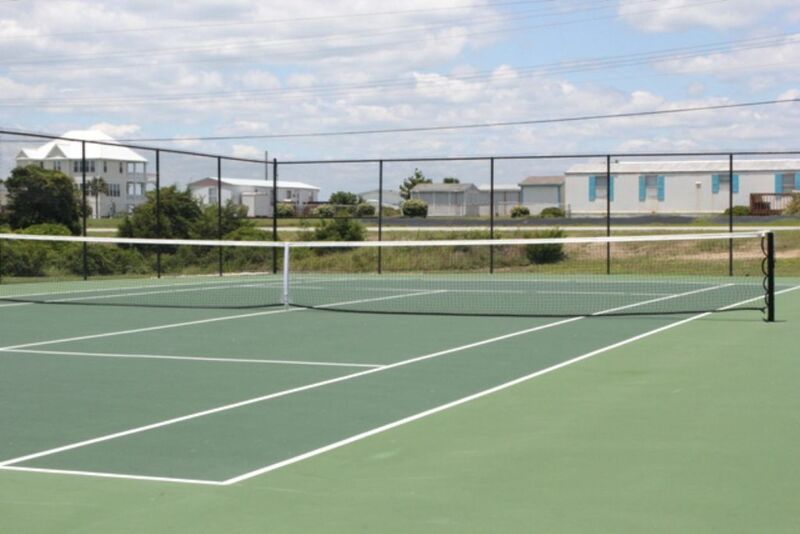 2 community pools, tennis court and community grills. Rents Saturday to Saturday. Linens provided with beds made for weekly rentals. No Smoking! No Pets! "This unit was absolutely perfect. Easy entry into the unit with luggage, food, etc. 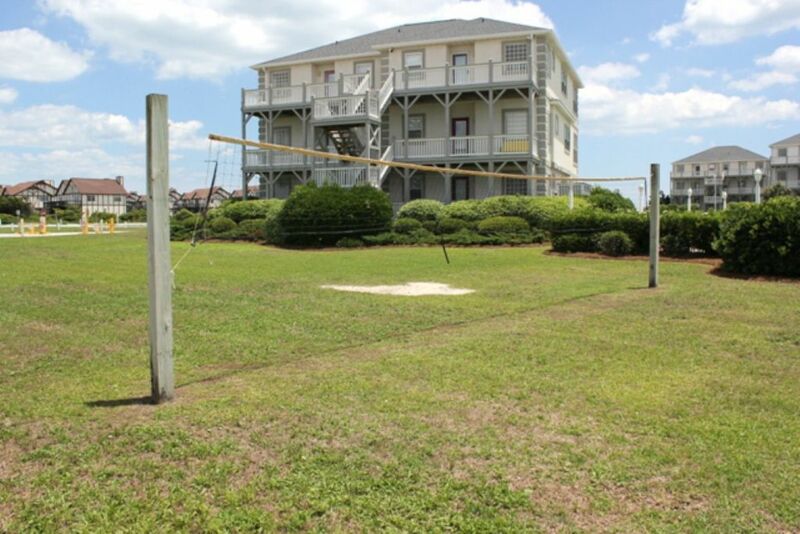 and easy access to the beach. 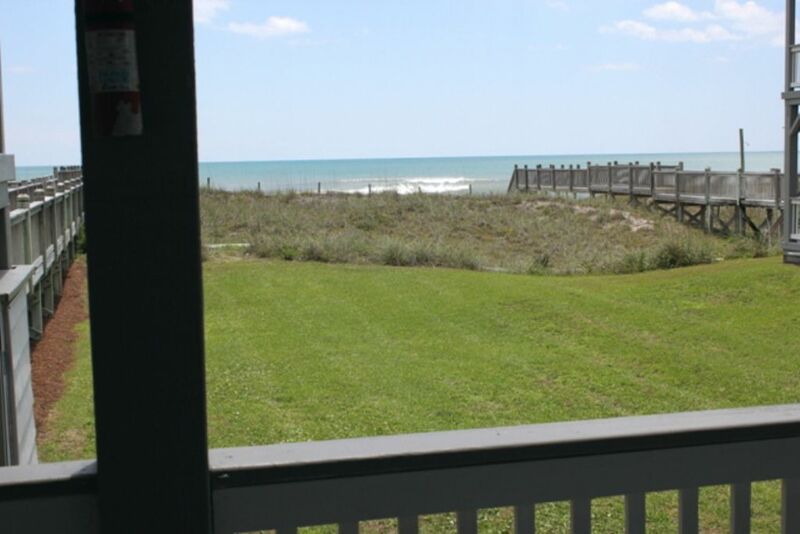 Enjoyed sitting on the porch listening to the waves in the evening. Every thing we needed was available. It would be nice if the beds were made upon arrival. We arrived late and were very tired and then had to make our own beds. 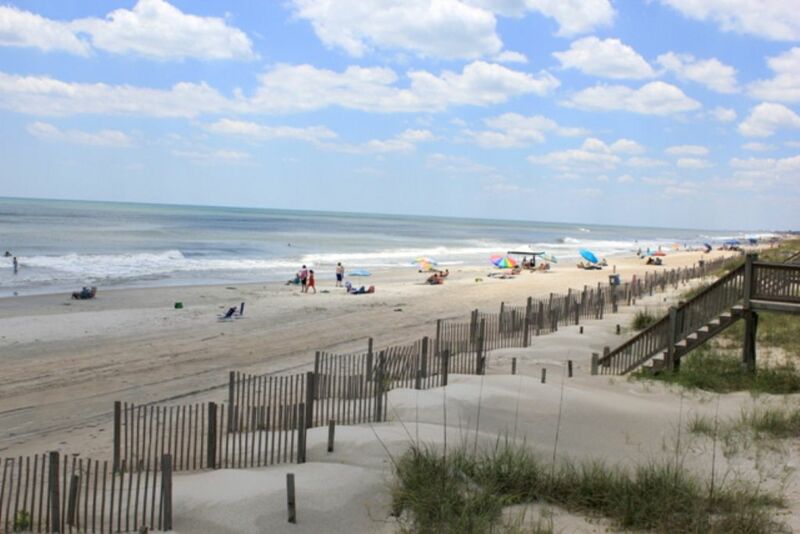 The ocean and beaches along Emerald Island are absolutely beautiful. Plan to return. Unit could use a little updating but everything was very clean. My sister and I are older and felt the shower floors were a little slick. Stood on a towel which helped but just informing you for future reference. " Thank you for your review, Mary Lou! 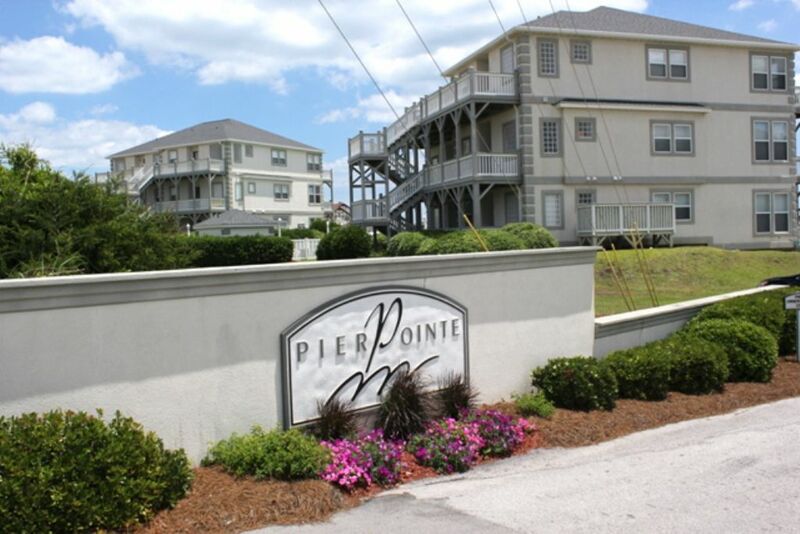 We are pleased to know you had a nice stay at Pier Pointe 4B1. 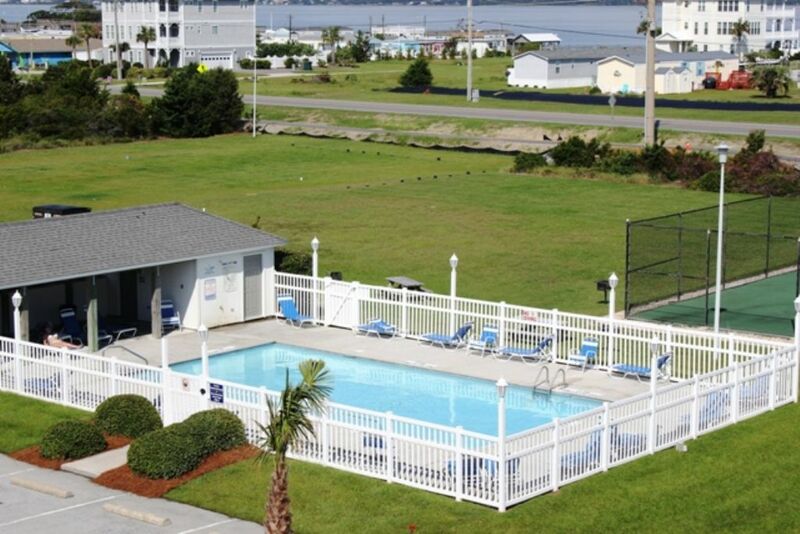 We certainly understand the importance providing rentals that accommodate every member of your family! The addition of a non-slip surface to the shower floors would be beneficial and we will certainly look into it with the homeowner. Thank you again for staying with Shorewood & we look forward to seeing you again next year! 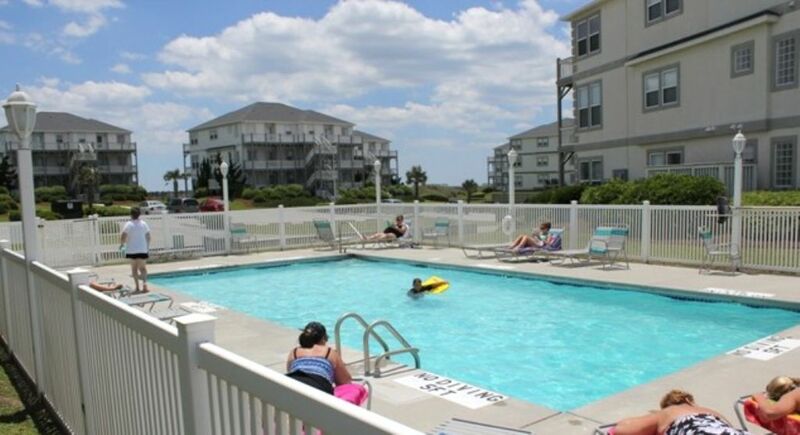 "This was a lovely, well maintained condo unit and we enjoyed our stay there. It was clean and the furnishings and decor were nice. The wall color was especially soothing. Loved the rocking chairs on the porch. Found almost everything in the kitchen for cooking. Just needed a large nonstick frying pan, but was surprised to find the extra large cooking pot for frogmore stew. 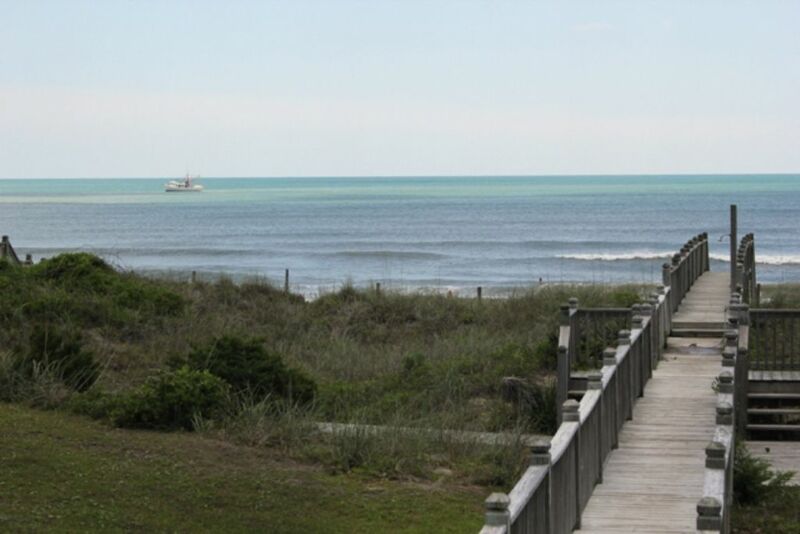 Emerald Isle is our very favorite place to vacation and Pier 1 was a beautiful place to stay. My grands came over for a visit and loved the pool. Also liked the idea of not going through a gate upon entering and leaving. No complaints. "